Since I heard about this upcoming collection, I've had my eyes on it and I've been wanting it! I wasn't able to buy it online even though i stayed up till midnight trying to be one of the first people to purchase it, sadly I wasn't able to. So I had to wait till it released in stores, I had class so I couldn't stop by the mall but hubby was sweet enough to drop by the mall during opening time and snatched up these products that I wanted. I've never purchased blushes from collections, so these were my first. 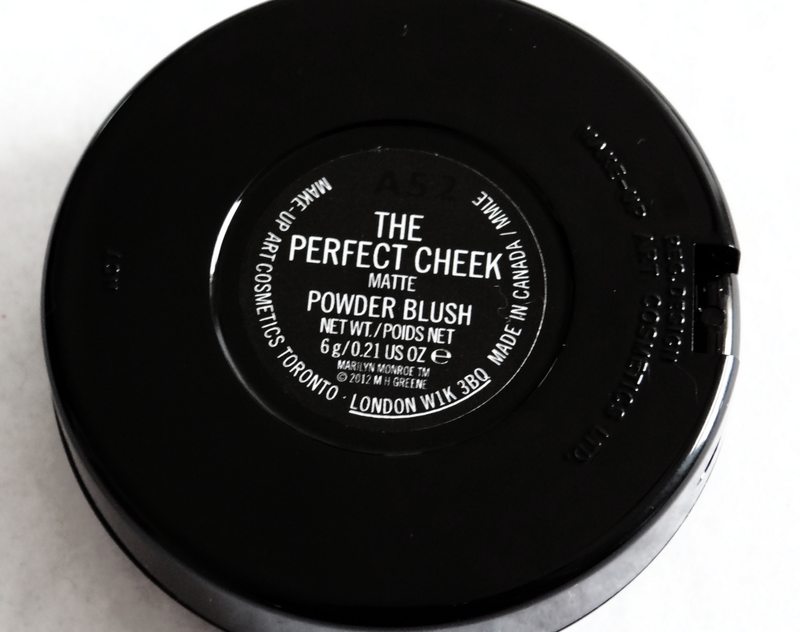 Originally they looked really light and from reading reviews I found that many people said that it wouldn't look good on darker skin tones. BUT I decided to take the chance and get them. 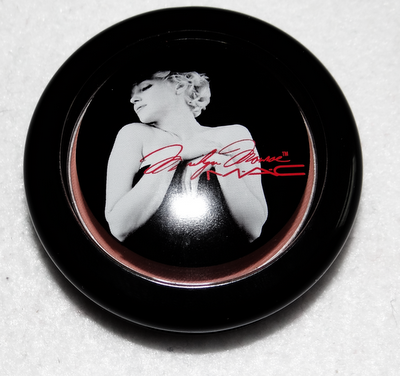 There were only two blushes released in this collection: Legendary & The Perfect Cheek. The packaging and box is beautiful, I love that they picked a picture that is not very commonly used. 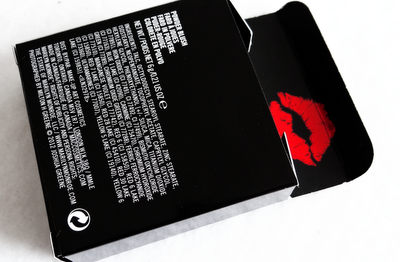 The kiss on the packaging is cute. I'll defintly be keeping the boxes. As soon as you open the box you see a red kiss, I think it's really cute. I love the detail the put of her signature red lips. 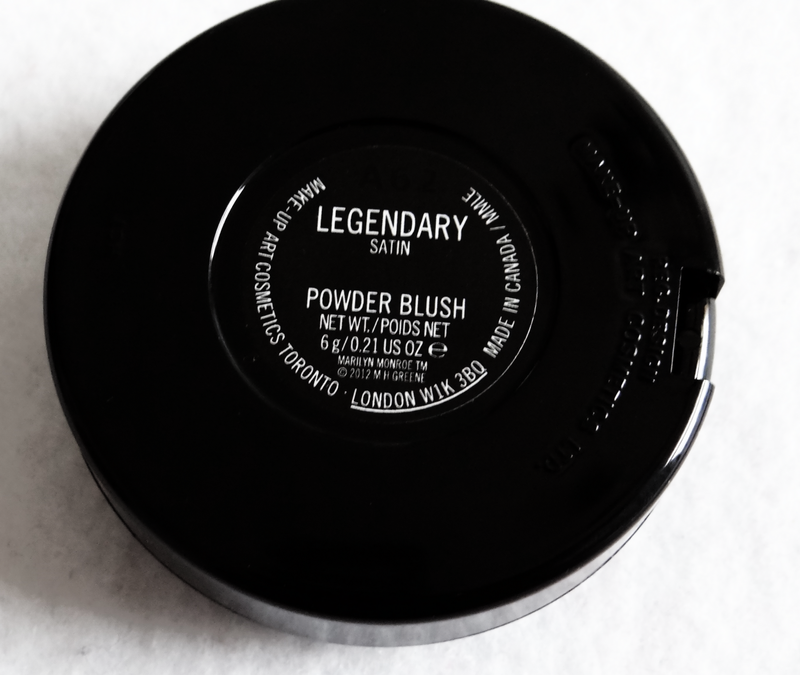 Legendary is a soft peachy pink color. It looks really bright in the pan but it's a really muted dark peachy pink color. I really like this color, I don't have any like it in my makeup collection. 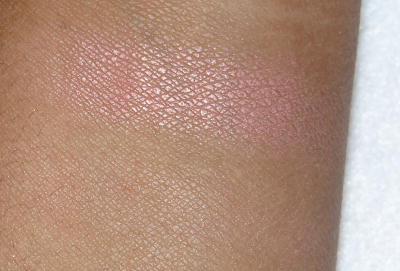 The bottom swatch is one swipe. It's really light that it's not noticeable. 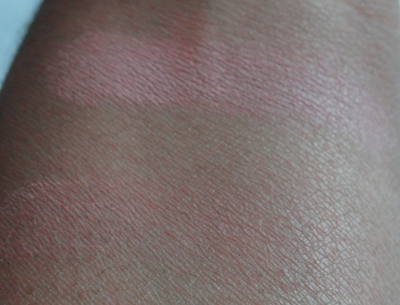 The top swatch was achieved after three layers added on. I was expecting this blush to be more pigmented but I'm not disappointed, I like that it's build able and you can get the color to be more brighter. The Perfect Check is a pink beige color. It looks quite bright in the pan as well, but it's quite light in swatches. 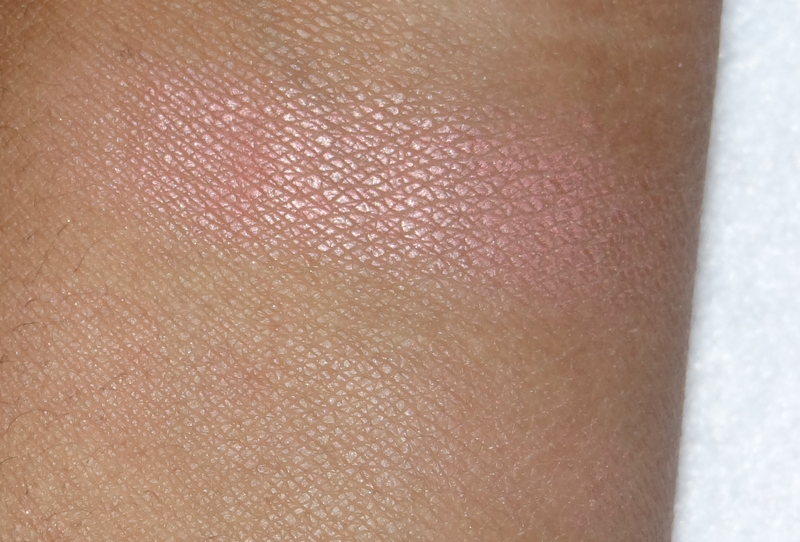 The bottom swatch is one swipe, and the top swatch is three layers of color. 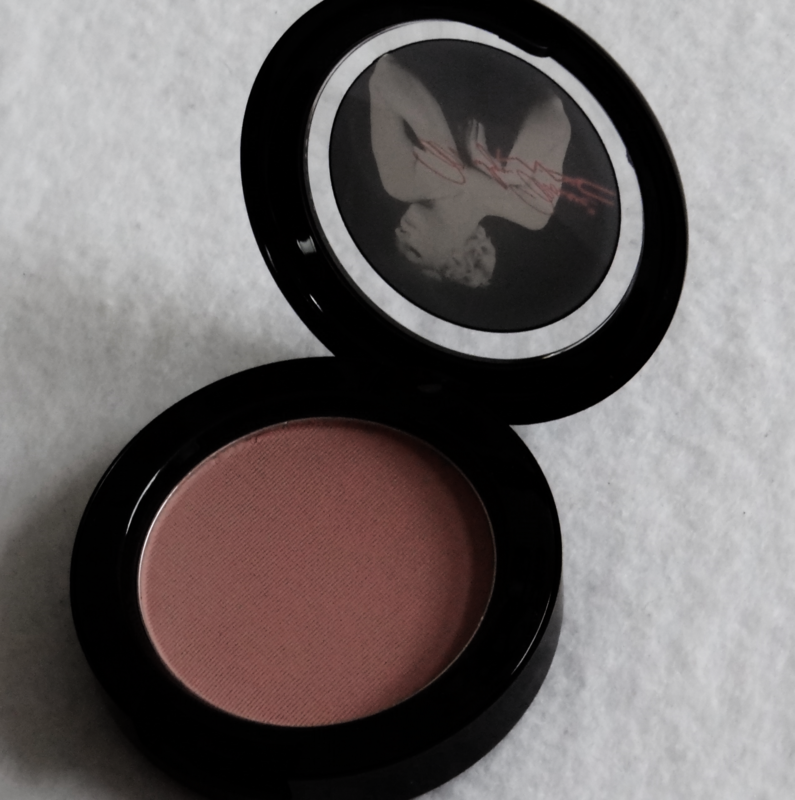 To show you the size of the blush, here it is compared to my hand. Overall I love these blushes and I'm glad that I purchased this collection. Even though I was a bit scared about the rumour that these colours would not suit darker skin tones, I plan on trying them on top of foundation or as a highlight. 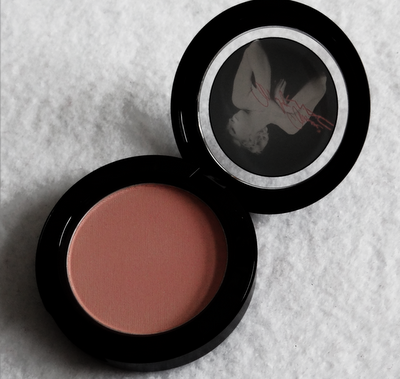 I'll be posting pictures of me wearing this blush, once I start incorporating it with makeup looks. Will you be getting or did you get anything from the MAC Marilyn Monroe collection?